NEW YORK, Jul 19, 2012/ — With Simon Doonan of Barneys New York and Francesco Russo, Creative Director of Sergio Rossi on the reception line, Barneys New York inaugurated “Perfect Pairs”, a campaign which supports the Human Rights Campaign (HRC) and its Americans for Marriage Equality Program. Launched in conjunction with the opening of the newly renovated fifth floor of Barneys which will now house both women’s and men’s designer shoes, “Perfect Pairs” attracted the New York area glitterati that included Francesco Russo, Mark Lee, Daniella Vitale, Tom Kelenderian, Simon Doonan, Rachel Chandler, Janet Montgomery, Kenza Fourati, Iggy Azalea. 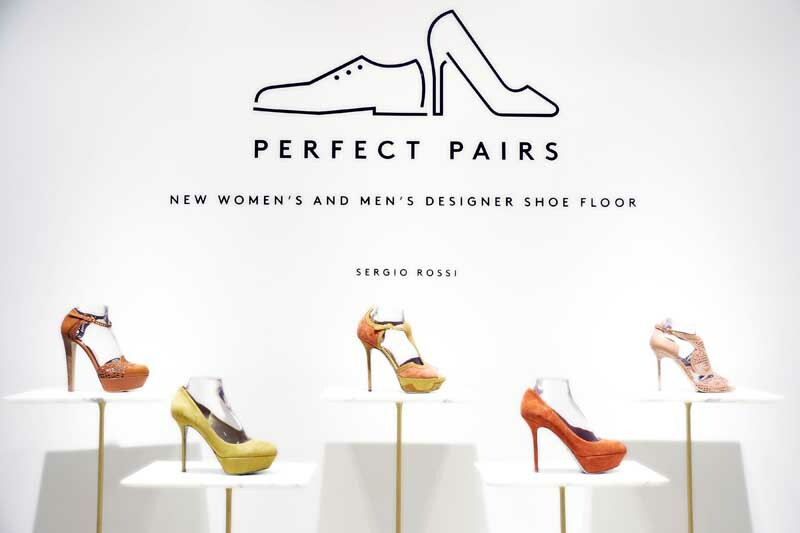 As part of the “Perfect Pairs” campaign, Barneys New York will donate 10% of sales from the new shoe floor between Monday, July 16 and Sunday, July 22 to the HRC to further their work in fighting discrimination against LGBT people and expanding marriage equality around the country.